On Friday it was 'World Kindness Day' and the topic of the day for #BEDN. I wasn't sure what to write so I checked on Pinterest again for ideas. I found a pin for a Buzzfeed post for '101 Easy Ideas for Random Acts of Kindness' and so I've chosen 10 of my favourite ones - you can check the full post out HERE. 1. Each time you buy a new piece of clothing - donate an old piece to charity. 2. Leave a nice server the biggest tip you can afford. 3. Cut someone some slack. 4. Make a 'breakup playlist' on Spotify for someone going through a hard time. 5. Answer that email you have been avoiding. 6. Write a nice comment on your friend's blog. 9. Help someone struggling with bags. I also did multiple favours at work for lots of people so I feel like I filled my 'kindness' quota for the day. 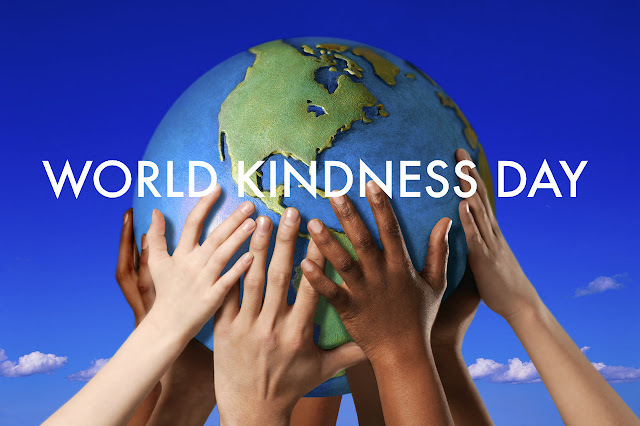 Let me know what you did on 'World Kindness Day' in the comments below.